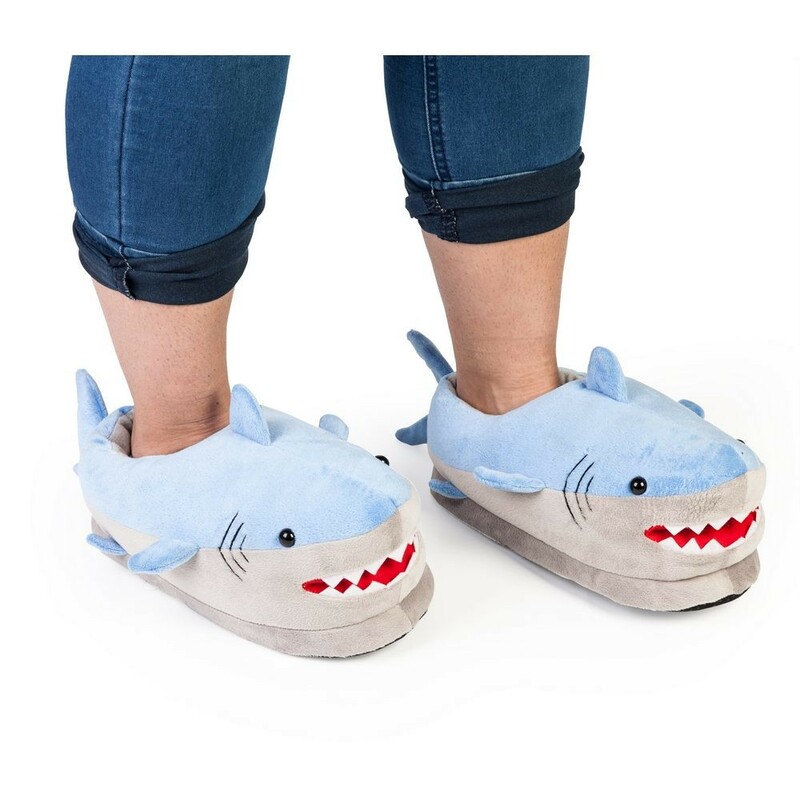 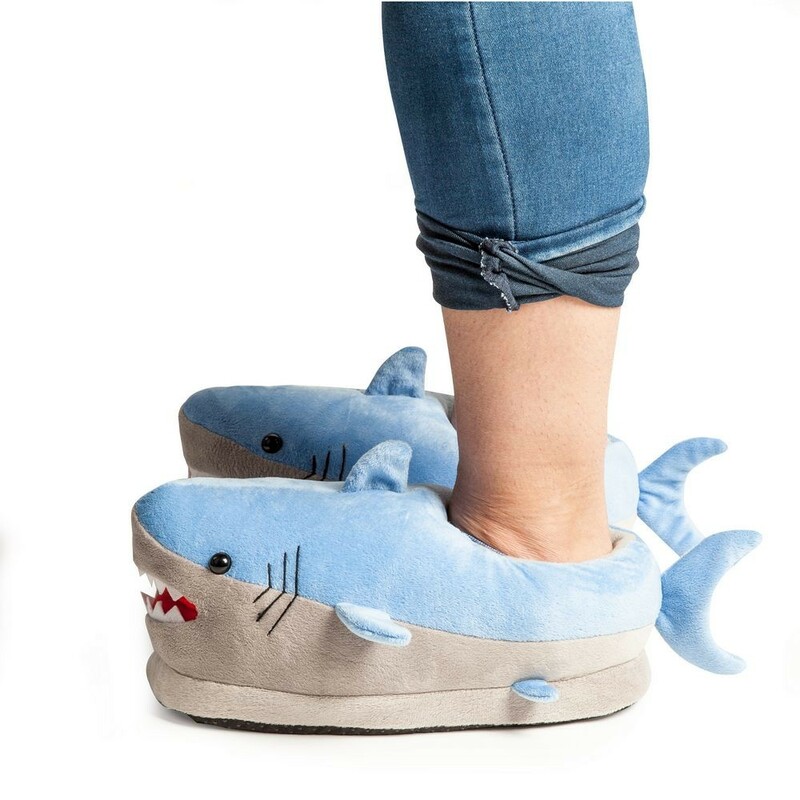 Slip into something a little more bitey with a pair of velour-clad plush Shark Slippers. Complete with a teeth bareing grin to ward off any potential slipper thieves, these will keep your feet toasty and warm. 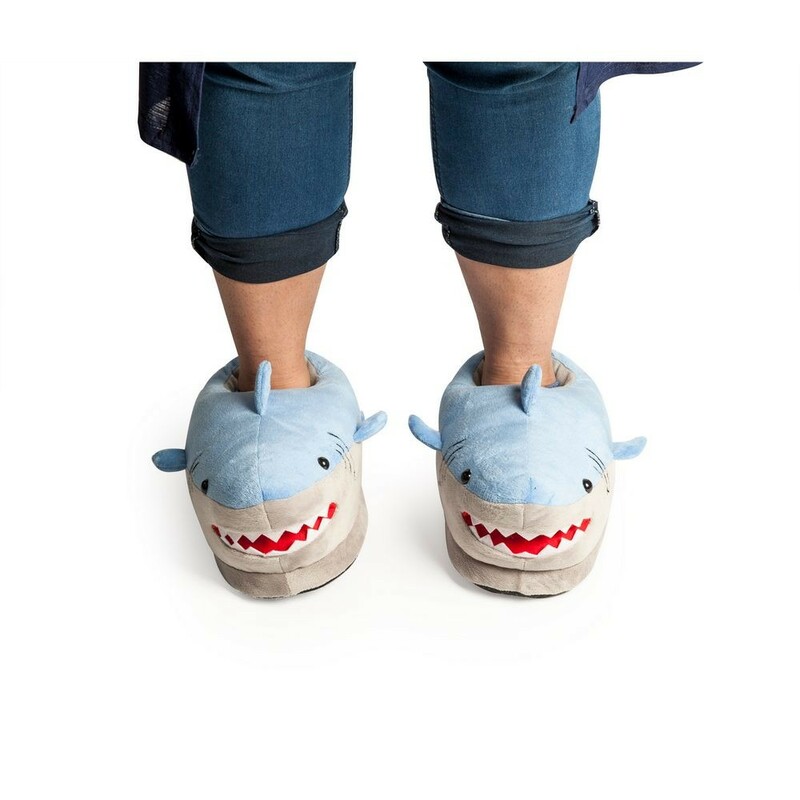 One size fits most.........unless you are bigfoot! 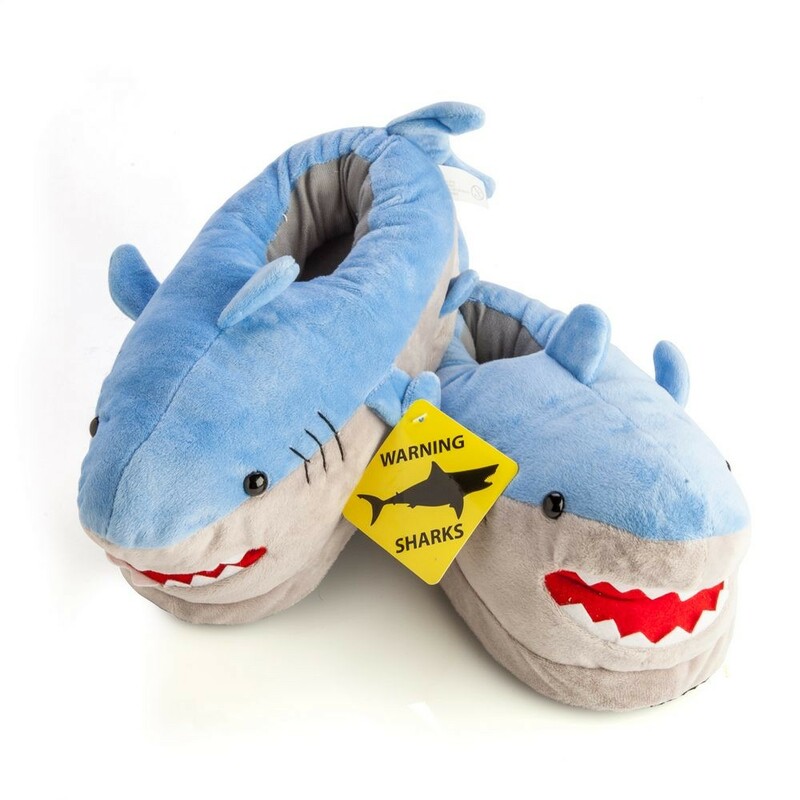 Care instructions: Do not machine wash, sponge gently with warm water and mild detergent, do not bleach.